Magento 2 Product Reviews extension allows your customers to share and contribute their shopping experience of your store. 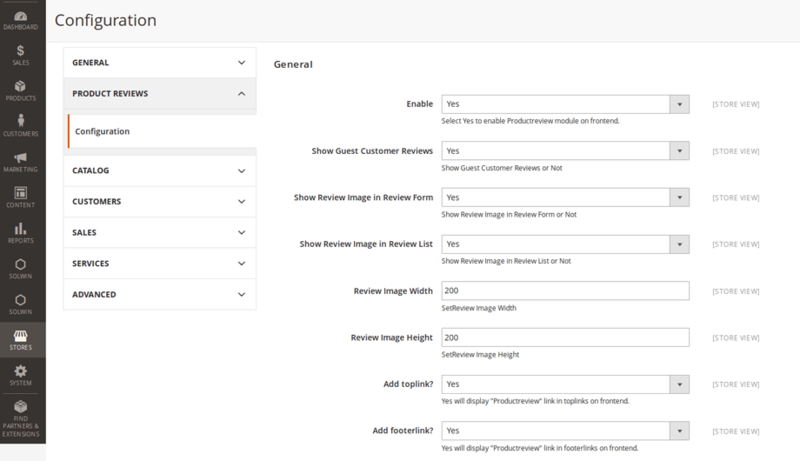 It authorizes customers to upload an image with product review form and display all reviews on a single page. No registration required to upload images. Customers trust online reviews as personal recommendations and take actions accordingly. 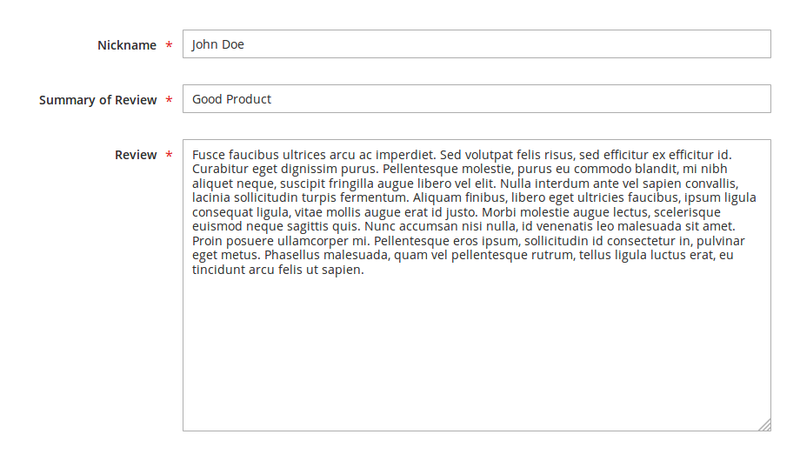 This extension can increase your sales, reduce the number of rejections or returns goods, and decorate your review page. This customer testimonials extension provide a landing page for all the product reviews. From there customer can see all the reviews associated with a particular product. Provides fully customizable interface of the extension, beginner can easily setup.. 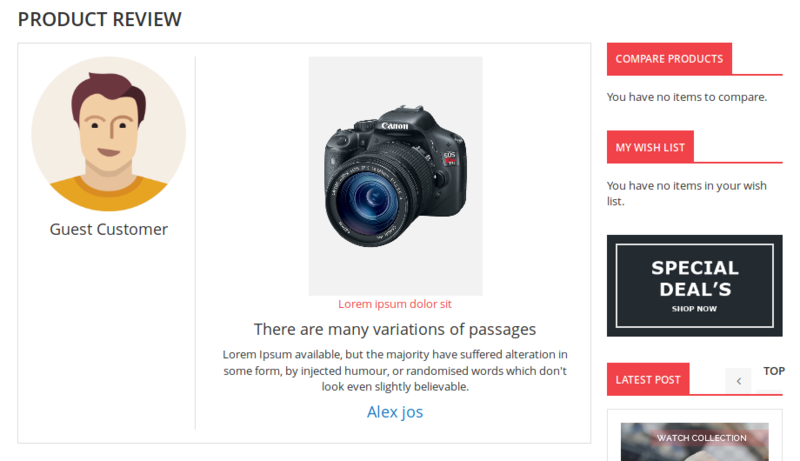 Allows customer to upload image with product review. Both registered & guest customer can upload image with review. 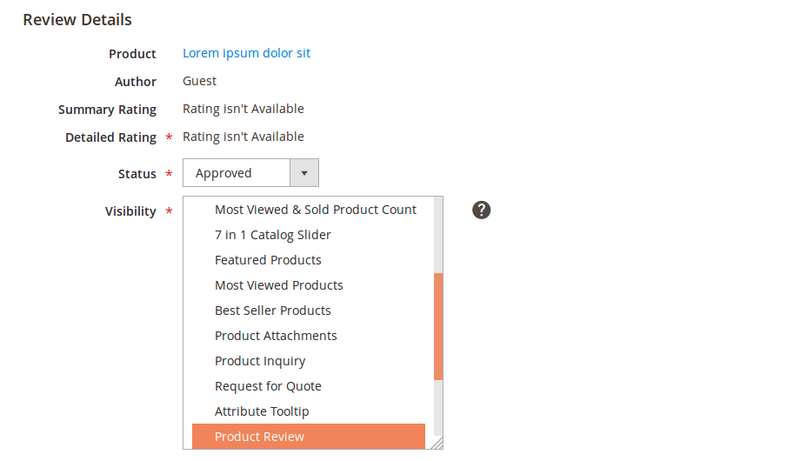 Display product review on CMS pages & static blocks as a widget. Awesome support and great extension. Solwin helped to customize to our store and was very communicative. Thanks so much! I use this extension for one of my clients Magento 2 site. Works perfectly. Good extension! Thanks, developer team! Download the Product Reviews extension .ZIP file from solwininfotech.com using your Solwin Infotech website account. If you are using Magento 2.0.x then you need to extract solwin-productreview-m2-2.0.x.zip file. If you are using Magento 2.1.x then you need to extract solwin-productreview-m2-2.1.x.zip file. If you are using Magento 2.2.x then you need to extract solwin-productreview-m2-2.2.x.zip file. If you are using Magento 2.3.x then you need to extract solwin-productreview-m2-2.3.x.zip file. If you are using Magento 2.1.x then you need to extract solwin-productreview-m2-EE-2.1.x.zip file. If you are using Magento 2.2.x then you need to extract solwin-productreview-m2-EE-2.2.x.zip file. Now, you can see the Solwin menu in admin panel. 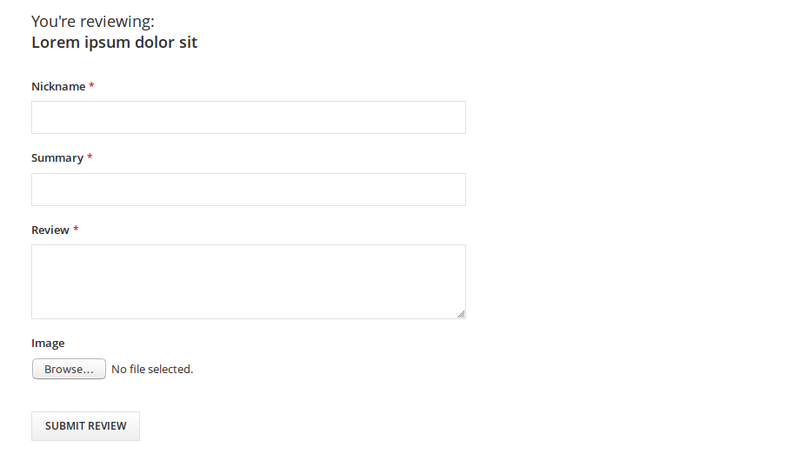 Please go to Solwin -> Product Reviews -> Configuration and select Enable to Yes.